This glamorous twin bed with a convenient trundle will be a perfect addition to your children's room. The headboard has an elegant Bonn shape and has lovely cream upholstery, accented by nailhead trim and diamond-rhinestone tufts. 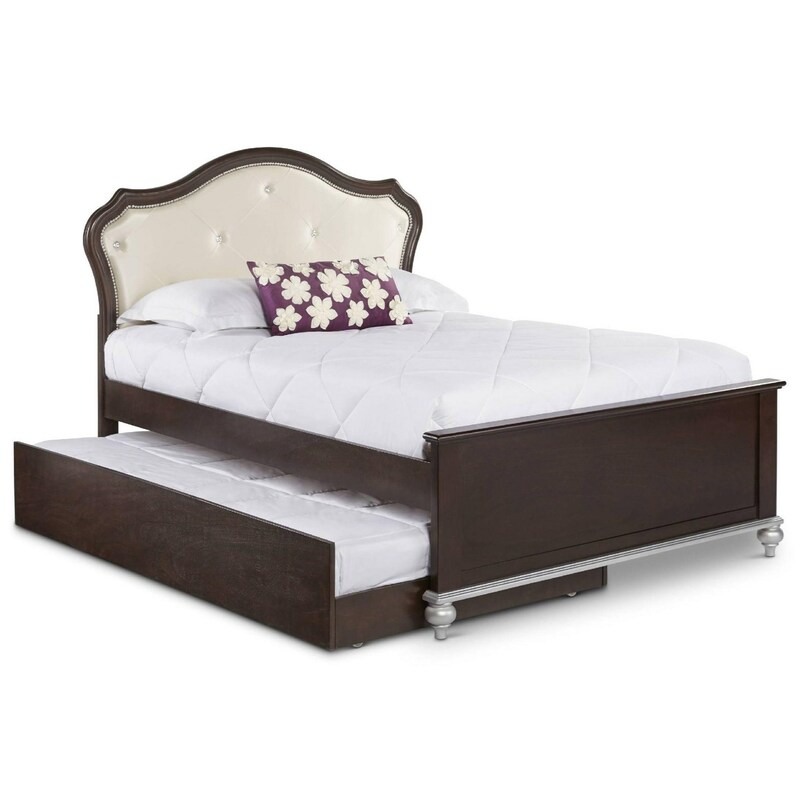 Match this bed will the storage pieces from this collection for an eye-catching bedroom set perfect for a princess. The Allison Twin Bed with Glamorous Upholstered Headboard and Trundle by Elements International at Household Furniture in the El Paso & Horizon City, TX area. Product availability may vary. Contact us for the most current availability on this product. This charming collection of bedroom furniture is the perfect update for your children's bedroom with elegant style and durable construction. The centerpiece of the collection, the bed, features a Bonn shape and has cream-colored upholstery accented with diamond-rhinestone tufting and nailhead trim. Storage pieces have crystal-like knobs and silver finished bun feet and trim. Create an extra space to sleep with a convenient pull out trundle. The Allison collection is a great option if you are looking for Glam Transitional furniture in the El Paso & Horizon City, TX area. 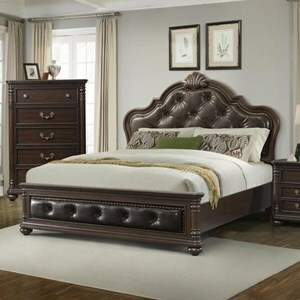 Browse other items in the Allison collection from Household Furniture in the El Paso & Horizon City, TX area.